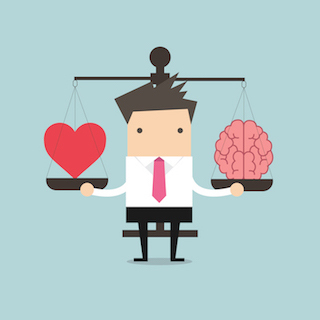 Ambitious Versus Passionate New Hires: Which is Better? If you only had one choice, who would you pick for a new hire – a candidate who is really ambitious, or one who is passionate? Both types of candidates are performance-oriented. Both are also achievement-focused and likely to put in more hours into work than what is required. Both have the potential too, to drive organizational change for the better, within your company. Here’s the key difference that we see at BlueSky Personnel Solutions – ambitious candidates are motivated by their personal growth opportunities, and what they will get out of a position for themselves. While they are results-oriented, their commitment starts and ends with themselves. Passionate employees are, in contrast, committed to a higher cause than themselves. They want to make their work count in the bigger picture. They want to make sure their work has an impact. They are results-oriented too, but they want results that will help their cause, not just themselves. So, while ambition is a great quality to have and can be crucial for certain roles such as sales, a passionate candidate is just as valuable. It’s a factor that our team always takes into consideration while recruiting. While passionate people’s motivations are intrinsic, just like a plant that needs sun, water and soil to flourish, so too, companies must fan the flame among employees in order to keep their passion alive. Communicate your higher purpose: your company may be selling a great product or service, but do your employees know and can they instantly articulate what is your company’s higher purpose? IKEA employees for example know the company’s higher purpose is to “Create a better everyday life for the majority of people” – and each employee knows they are working towards that purpose by giving their customers design that is affordable. Celebrate everyday wins: it’s great to state your company’s higher purpose to employees, but it’s much more impactful to show your employees the fruits of their labour everyday. This is about helping employees realize their work is much more than a job. Online retailer Zappos challenges its employees to “wow” their customers and one of the company’s core values that is celebrated everyday is “creating fun and a little weirdness”. Few people could resist wanting to work in that context? Have you seen a company doing exceptional things to cultivate passion within their workforce? Please share your comments with us on your favourite social media platform. We’d love to hear from you!